As is often the case during moments of national reckoning, politicians and armchair pundits alike have been forced to consider the difficult question of “How did we get here?” How, in fact, does a nation which ostensibly offers safe haven to the “tired, poor, huddled masses, yearning to breathe free,” now engage in the inhumane practice of caging crying infants and toddlers? The facts of the present border separations stand as stark and naked as the makeshift facilities and tent cities used to house detained migrants.” At least 2,700 children have been stripped from their parents and placed in South Texas detention centers between October 2017 and May 2018 alone. Worse yet, the administration is still yet to present a legitimate plan for family reunification. In reality, however, what we are now witnessing is the expansion of America’s hyper-carceral state, one which has grown wealthy off of the capture, detention, and exploitation of black and brown bodies for the better portion of two hundred years. Thus, in addition to rightful appeals to reverse the Trump administrations “zero-tolerance” policy and reunite separated families, we must not lose sight of the deeply intersectional ramifications of this present crisis. We cannot hope to attain justice for these wrongfully detained persons, many of whom are asylum-seekers, without also calling into question America’s mammoth prison justice system and the culture of incarceration which grounds Trump’s zero-toleration immigration policy. Simply put, America profits off of the incarceration of immigrant bodies. 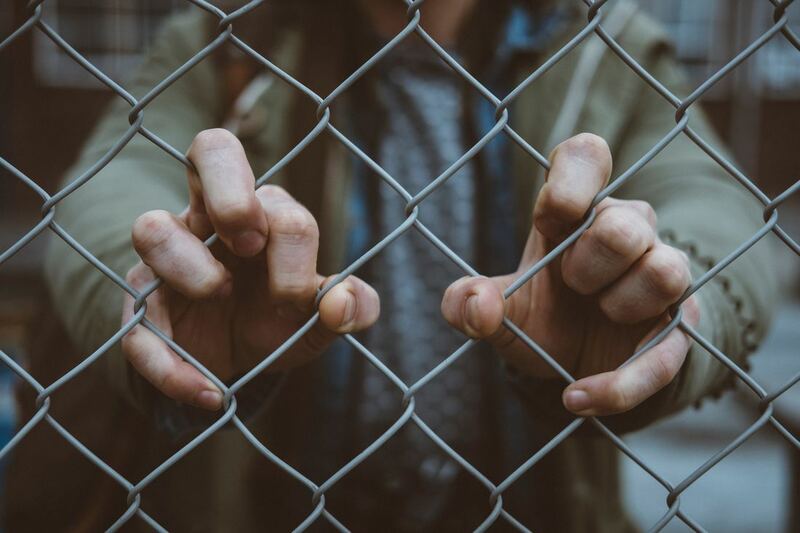 Over the last few decades, the involvement of the private prison industry in U.S. immigration enforcement has redoubled, according to a recent immigration report by the Migration Policy Institute. The report highlights that, in 2016, approximately “353,000 immigrants identified for detention or removal by U.S. Immigration and Customs Enforcement (ICE) passed through one of more than 200 immigration detention facilities, up from 209,000 in 2001.” Additionally, the largest private prison contractors, like CoreCivic Inc. and GEO Group, Inc. have reaped significant profits from the detention of immigrants and asylum seekers. In 2017, these large corporations grossed a combined revenue “exceeding $4 Billion.” Naturally, as in the case with most industry giants, CoreCivic, Inc. and GEO Group, Inc. each doled out millions in lobbying efforts and campaign contributions to ensure their continued success. Under the Trump presidency, these efforts have yielded lucrative harvests. In February 2017, Attorney General Jeff Sessions opened the door to the expansion of private prisons by rescinding the Obama-era Justice Department decision intended to curb the use of private prisons. By the end of the month, the MPI reports that “CoreCivic and GEO Group stocks had increased by 137 percent and 98 percent, respectively.” In April of 2017, GEO Group won a $110 million contract to build the first immigrant detention center under the new administration, and “ICE extended its contract with CoreCivic for a 1,000-bed immigrant processing center in Texas.” Additionally, according to the National Immigrant Justice Center, ICE extended its $ 1 Billion contract with CoreCivic to develop the South Texas Family Residential Detention Center in 2016. This contract is one of the thousands of contracts ICE signs each year with private, state, and even local prisons that house detained immigrants. In many cases, ICE pays local prisons and law enforcement agencies per immigrant detained. Regrettably, one of the most nefarious and widely-reported aspects of life in private prisons also affects detained migrants: unpaid, and underpaid labor. This egregious fact of life for many detained immigrants has been largely excluded in current conversations surrounding the border crisis. On the surface, the official stance of private prison companies is that detainees are busied on a daily basis with light “voluntary service.” Much to the contrary, statements from detainees who have filed lawsuits against ICE, like Alejandro Hernandez Torres, reveal that this “voluntary service” was often coerced, and followed with stringent disciplinary actions for those inmates that did not comply. In his testimony, Torres alleges that he was initially forced to engage in unpaid “cleaning-work” which included laborious tasks like “waxing floors” and maintaining the meticulous upkeep of the vast 1,500 bed facility. Per The Nation, another class-action lawsuit against a San Diego immigrant detention facility managed by the private contractor CoreCivic also detailed the labor-intensive tasks which detainees are subject to. Furthermore, detainees at this San Diego facility revealed that persons who refused to complete their “voluntary service” faced the threat of “severe mental pain and suffering,” inflicted through “solitary confinement” and “physical restraint.” In fact, Lawyers in this case argued that this “voluntary” system violated federal and California human-trafficking laws. In the whirlwind of evocative media coverage regarding the border crisis, a progressive movement to #AbolishICE has emerged. Most recently, citizens of Springfield, Oregon were able to petition their City Council to end its contract with ICE following weeks of protests. Similarly, Williamson County, a conservative Austin suburb, also voted to terminate its contract with ICE and CoreCivic, which runs a local detention facility currently housing mothers separated from their children. This decision echoes the precedent set by Sacramento County, and other cities like Alexandria, Virginia that have canceled their lucrative contracts with ICE. Nevertheless, it is interesting to note how non-intersectional #AbolishICE rhetoric has been so far. As revealed earlier, the practice of detaining immigrants represents the convergence of several oppressive systems as institutional sexual violence, poor public health, and neoliberal prison industrial complexes. In the end, capital greed and racist immigration policy have devastated the humanity of immigrant populations. The movement to abolish ICE represents the first of many steps needed to not only achieve justice for detained immigrants, but for all persons who have fallen victim to America’s carceral state. Following the continued example set forth by cities that have cancelled their contracts with ICE, citizens must petition for local and state governments to cancel their contracts with private prisons as well. Without joining calls to abolish ICE with pre-existing movements to abolish America’s systems of policing and mass incarceration, this crucial moment of national awakening will fail to guarantee justice for all incarcerated persons. Visit this link to see whether ICE has prison contracts in your city, and if so petition your local and state governments to end contracts with ICE and private prisons. Support and donate to these prison reform/abolition orgs. Support local, state, and federal candidates and politicians committed to abolishing ICE and ending mass incarceration, here are a few. Support restorative justice projects which provide non-punitive solutions to crime and conflict resolution.